From Earth, only three distinct rings are visible: the A, B and C rings. The Cassini gap is also visible in larger telescopes, but we now know that this gap is not really a gap at all. 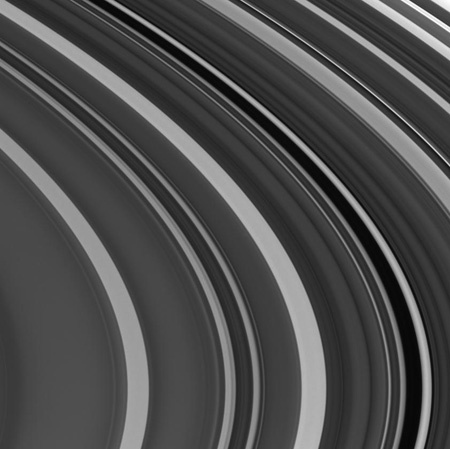 More information can be found on the Saturnian Rings Fact Sheet. However, in reality there are thousands of individual ringlets that seem to form the larger ring patterns. The rings look solid because they reflect 80% of the light that it receives but the rings are composed of dusty and icy particles in a variety of sizes from 1 cm to 5 meters with an average of 10 cm. If all the particles coalesced to a single body, and object of only 100 km in diameter would form. The rings around Saturn (and all of the other gas giants) because the particles exist within the Roche Limit - which extends 2.45 times the radius of the central body. The rings exist in a location where gravity of the planet will not allow the particles to coalesce but far enough not to fall towards the planet. As a comparison, our Moon, the moons of Jupiter and Saturn exist outside the Roche Limit. The gap is actually the orbit of the moon Pan. 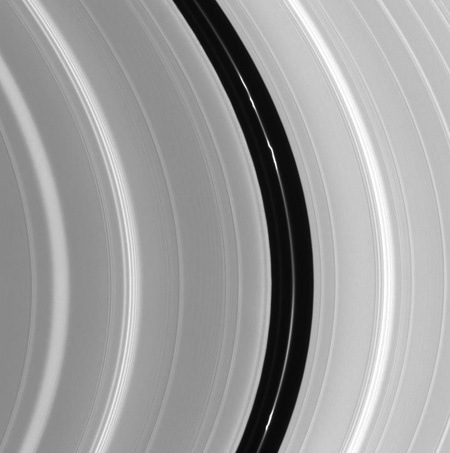 A moon that is in orbit with the rings help the rings maintain their near perfect circular shape. This type of moon is called a shepherd moon. 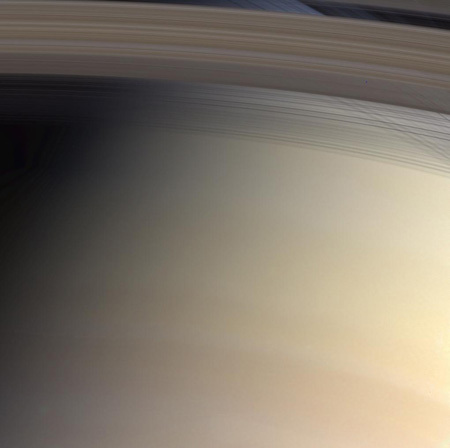 The rings of Saturn are no doubt one of the most beautiful objects in the heavens. Be sure to keep watch of the Cassini-Huygens webpage for updates photographs and data. 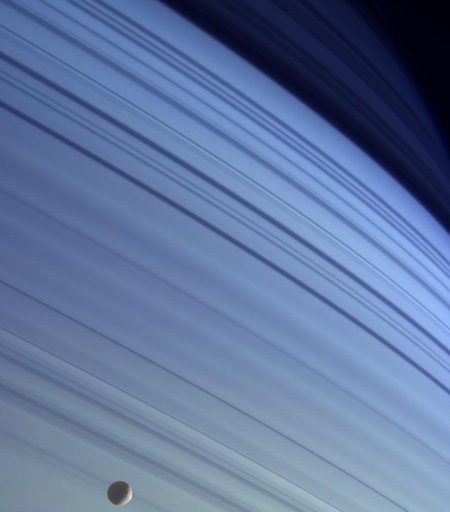 This image shows the rings of Saturn in true color, with Mimas in the foreground.